For many, coffee is the first thing that comes to mind as soon as that alarm goes off. Coffee has become a morning ritual for many and is a necessity for keeping up with the pace of Hong Kong. It’s amazing how two simple ingredients, coffee beans and water, can make all the difference. Making a delicious cup of coffee doesn’t need to be complicated, it takes little to no time. We’ve compiled a list of coffee essentials to help you BREW IT YOURSELF at home or at the office! 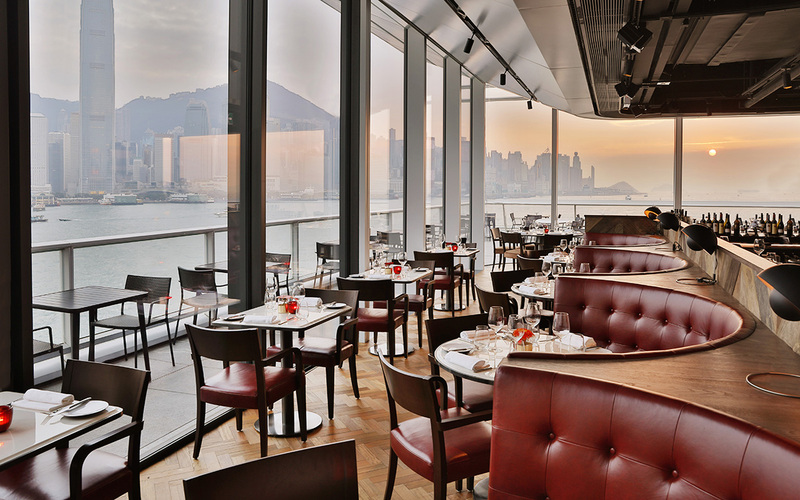 The Coffee Academïcs is a purveyor and roaster of specialty coffee in Hong Kong. They source their beans from across the world and roast it locally to ensure quality and freshness. Offering a selection of signature blended direct trade coffees sourced from Brazil, we recommend their TCA House Blend with citrus, toffee, milk, and chocolate notes. If you prefer a full body coffee, try the Hong Kong Blend and the JWF Blend if you’re into coffees on the fruitier side. For a caffeine-free option, the Colombia Supremo uses a 100% chemical-free Swiss Water process which protects its unique smooth, nutty, caramel flavor. International renowned fashion house, Ralph Lauren, debuts Ralph’s Coffee in Asia, serving a selection of special blends organically grown in South America, Asia Pacific, and Africa. We recommend Ralph’s Organic Drip Blend, an organic, bold and balanced blend with silky tones and moderate acidity perfect for drip brewing. If you prefer Italian-style espressos, Ralph’s Organic Espresso Blend is creamy, balanced, yet complex. The espresso blend is available in decaf as well. Impress your coworkers or friends and family with this brew-it-yourself cup of award-winning coffee. 18 Grams took home the Cup of Excellence (COE) Award in 2017. 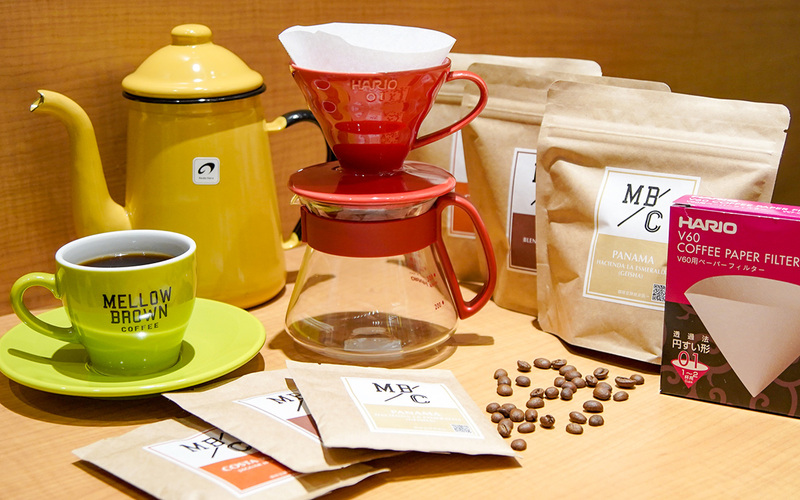 This limited Mexico COE #3 was procured and roasted in Hong Kong by 18 Grams @city’super. This prized coffee makes a great filter coffee with notes of pinot grigio, apple, and honey. 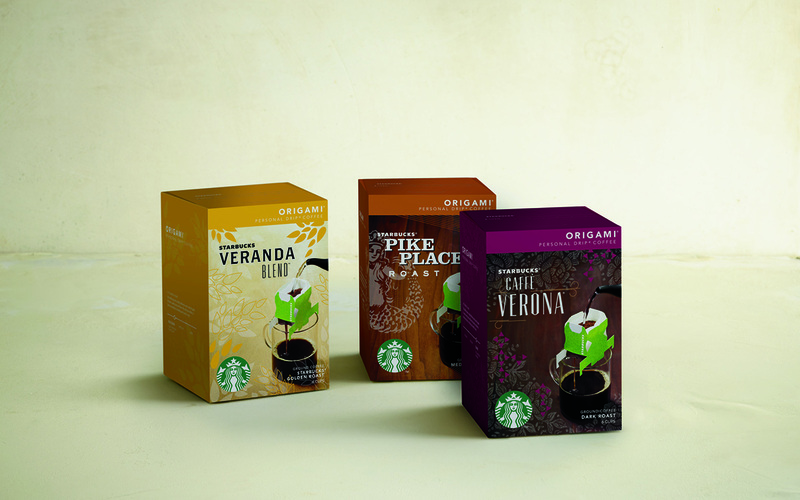 Starbucks offers convenient caffeine solutions with their Starbucks VIA™ and Origami™ collections. 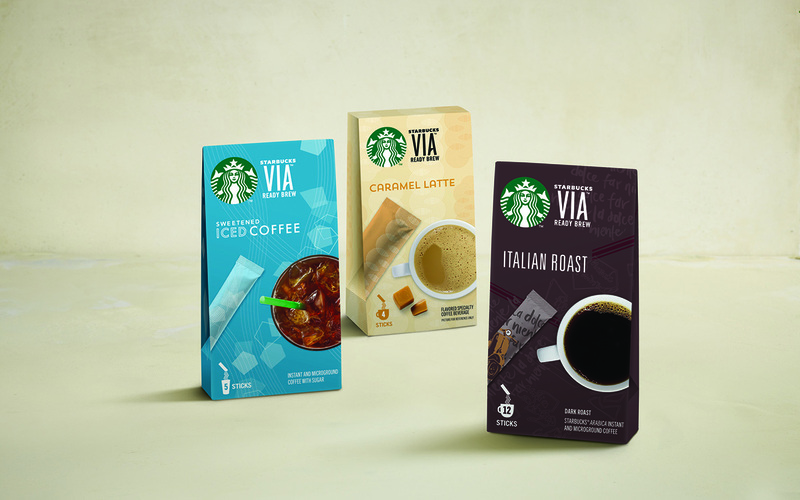 The Starbucks VIA™ collection is packaged in individual ready brew sticks using 100% high-quality Starbucks Arabica beans. Make either Italian Roast, Caramel Latte, or Sweetened Iced Coffee in an instant. If you prefer drip coffee, the Starbuck Origami™ Portable Drip Coffee contains ground Starbucks coffee along with a filter which allows you to make coffee anywhere, anytime. Mellow Brown Coffee by UCC offers three types of whole or ground beans in large resealable packages as well as small individual packages to ensure freshness. For years, the UCC Special Blended Coffee has been a timeless favorite with one-of-a kind hearty flavor followed by a clean mellow aftertaste. 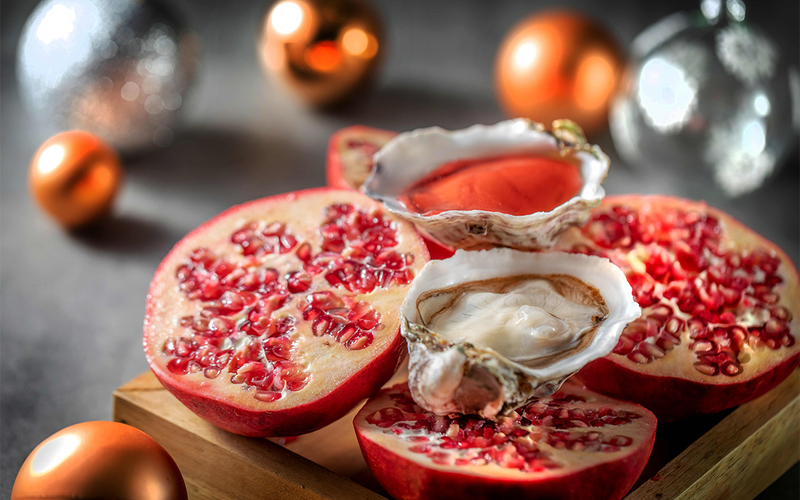 For a full-bodied yet slightly sweeter option, the Panama Hacienda La Esmeralda has a floral fragrance with hints of honey, lemon juice, and tea. Lastly, the Costa Rica Jaguar Reserve is the lightest option of the three, giving off a rich fruity brightness with a floral essence. Mellow Brown Coffee by UCC also provides the best coffee gear for all your drip coffee needs including kettles, coffee cups, coffee drippers, and servers. Stay cool this summer with your very own house-made cold brew. 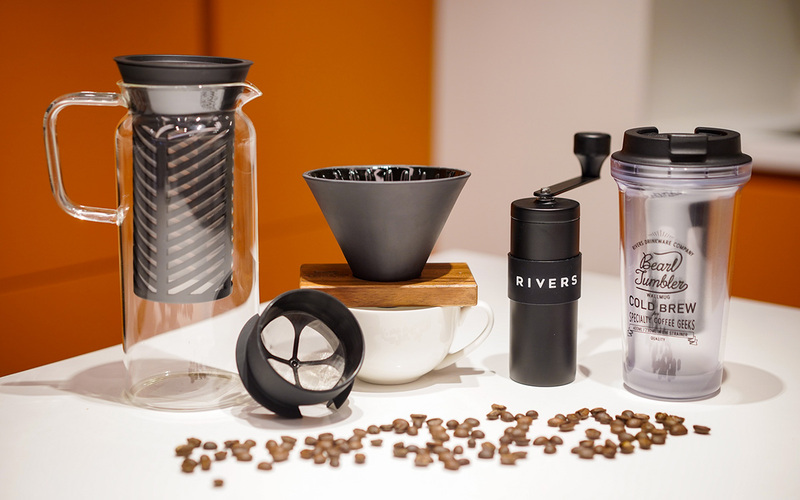 Head to city’super to pick up a Rivers Strainer Pot Heron or the handy travel Wallmug Cold Brew Bearl Tumbler. Make your own batch of cold brew coffee by simply adding ground coffee beans to the strainer and steeping it for 8 to 12 hours overnight. 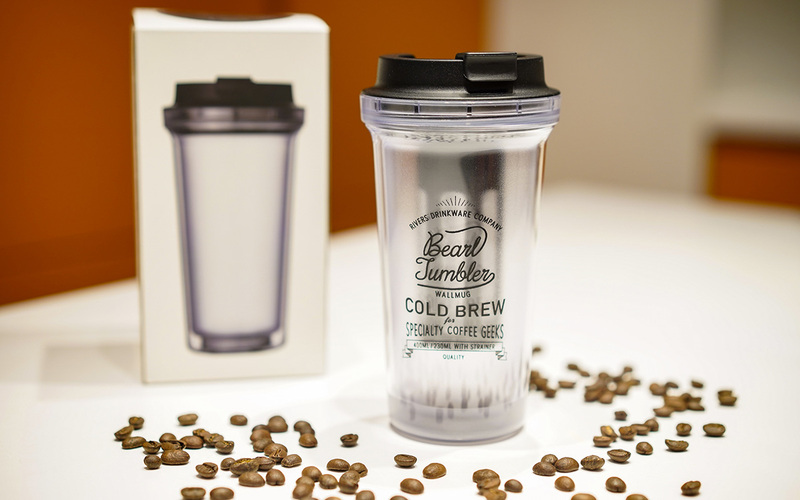 You can also make one on-the-go with the Rivers Wallmug Cold Brew Bearl Tumbler. 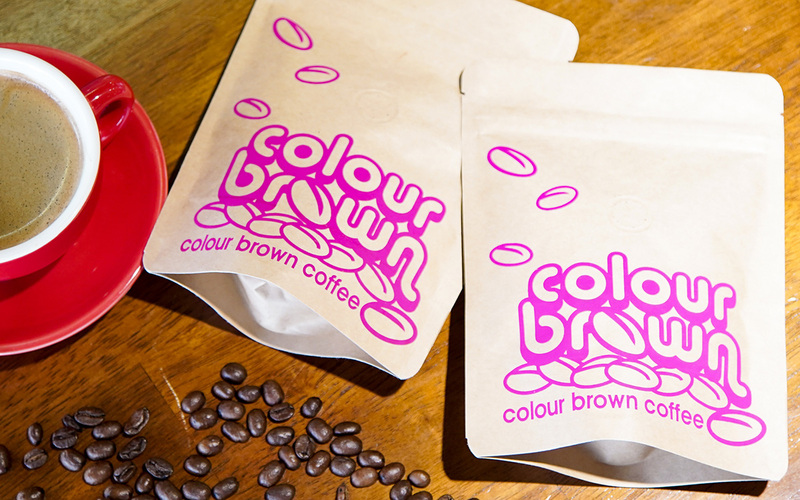 Coffee DX by Colour Brown also supplies you with everything you need to make speciality coffee wherever you go. 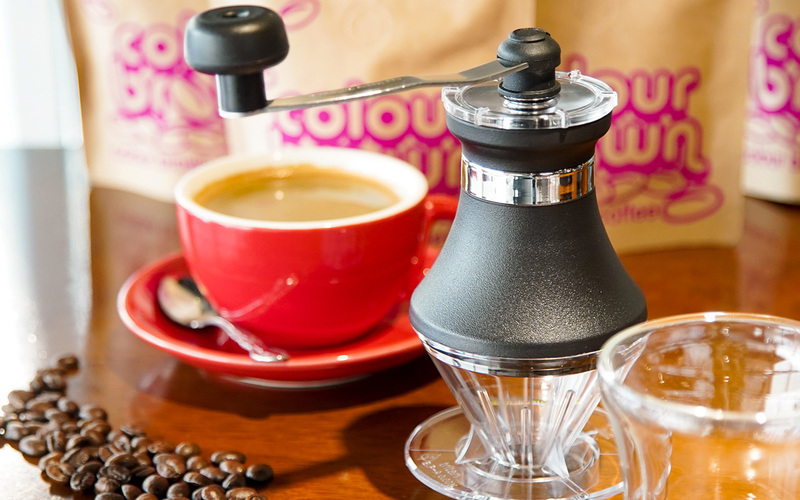 The Grindripper is a compact all-in-one grinder and brewer that is super easy to use, available in two different sizes. Coffee DX also offers high-quality Arabica coffee beans such as the Toraja, sourced from the mountains of central Sulawesi, Indonesia. This region is perfect for cultivating coffee, reaching altitudes of 1,500 meters above sea level, with volcanic/iron-rich soil and a constant source of moisture from the rainy climate. Try this strong yet well-balanced nutty coffee with undertones of ripe fruit, dark chocolate, cacao, and caramel.